Aphrodisias in Caria (modern Turkey) has a remarkable body of relief-decorated marble sarcophagi of the Roman Imperial period. This monograph presents the sarcophagi decorated with columnar arcades in which a variety of human, divine, and mythological figures are presented. It sets the sarcophagi in their local archaeological, epigraphic, and regional contexts, and focuses on questions of chronology, social class, family life, burial hierarchy, and production and re-use. A remarkable body of several hundred marble sarcophagi of the Roman period survives from Aphrodisias in Caria. The monograph presents those carved with an elaborate design of columnar arcades in which stand various human, divine, and mythological figures. The sarcophagi are set in their local archaeological, epigraphic, and regional contexts, and questions of chronology, social class, family life, and burial hierarchy are discussed in detail. 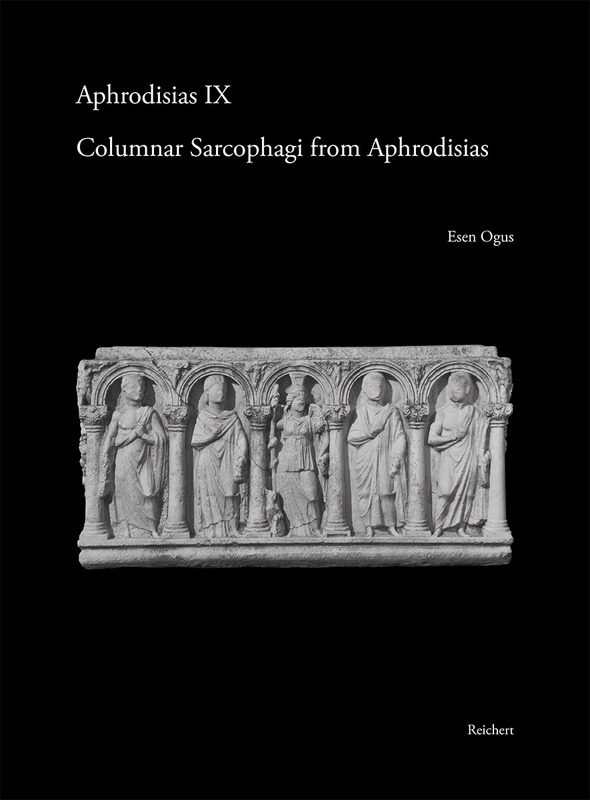 The Aphrodisian production was most dense in the third century AD, when, due to a general decline in material culture, sarcophagi constitute one of the most important media through which aspects of the period can be understood. Archaeological and epigraphic evidence suggests the main clientele for the sarcophagi at Aphrodisias was to be found among the middling levels of local society. Their considerable cost shows the wealth acquired by middle-level buyers in this period and that sarcophagi satisfied an aspiration for public self-representation. The broad chronology and design preferences of Aphrodisian sarcophagi are close to those of other sarcophagus groups in Roman Asia Minor, but they also retain a distinctive local style and local features. The sarcophagi of Aphrodisias constitute a significant body of art and material culture that vividly illuminates important aspects of social history in Roman Asia Minor. Esen Ogus was born in Ankara/Turkey. She earned her MA degree in Archaeology at Bilkent University/Ankara in 2003. She completed her PhD in History of Art and Architecture at Harvard University in 2010. After teaching fellowships at Harvard in 2008 and 2009, she taught at Texas Tech University in 2012-2014 as Assistant professor of Ancient Mediterranean Art. She won the Humboldt post-doctoral fellowship in 2012, and completed it in 2014. She currently teaches at Austin Peay State University in Clarksville, TN, U.S.A.